How Much Compensation Can I Claim For Suffering Chronic Pain? Chronic pain affects as much as between a third and a half the adult population of the UK, an enormous 28 million people. As such, it is a huge problem for millions of people across the country. The HSCIC (Health & Social Care Information Centre) defines chronic pain as long-term discomfort or pain which lasts for more than 12 weeks. Chronic pain is pain which is not relieved when the cause is treated, or when specific pain relief is applied. Chronic pain does not have to be severe, and many cases of it can involve a milder but almost constant type of pain. Physical symptoms of chronic pain can include tense muscles and limited mobility, reduced appetite and limited mobility. Chronic pain can also cause psychological symptoms such as depression, anger and anxiety. The combination of these psychical and emotional symptoms can have a profound effect on a person’s day-to-day life and their ability to work or perform other activities. 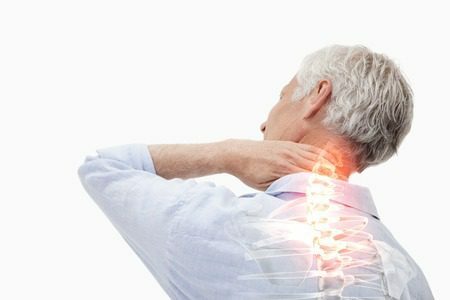 Chronic pain is an umbrella term which can refer to a variety of different medical conditions causing a patient to experience either constant or long-term recurring pain. Chronic pain can be caused by an initial trauma or injury. It can also be caused by an infection. Chronic pain can also occur without any evidence of injury, trauma or evidence of damage to the body. Below are some of the main causes of chronic pain. RSD or Reflex Sympathetic Dystrophy Syndrome. Also commonly known as Complex Regional Pain Syndrome, this is a serious pain disorder which is caused by the nervous system malfunctioning, leading to chronic pain. This can be caused by things such as broken bones and damage to the nerves, soft tissue, sprains, slips and even bruising. This type of chronic pain often presents several months after the original accident or injury. It can often be difficult to diagnose correctly. Fibromyalgia. This has a number of symptoms which can often present in a different way in different people. Symptoms include widespread pain and/or extreme sensitivity to pain across the whole body. Fibromyalgia can occur spontaneously, or be caused by a trauma. Myofascial pain. This affects your soft tissues and can involve a single muscle or be across a whole muscle group. Its symptoms include pain, muscle spasm and tenderness. It is usually caused by a strain injury to a muscle or to the supporting tendons or ligament. Chronic pain can be caused by a specific injury or trauma which has healed. This could be an injury, surgical wound or even the site of an infection. Pain signals can stay active within your nervous system for several months after an initial injury. At other times, there is no apparent cause of the chronic pain and no damage to the surrounding tissues. Some of the leading causes of chronic pain include lower back pain, arthritis and even headaches. Today doctors acknowledge that chronic pain can often require its own, specialised, treatment regime. I Am Suffering From Chronic Pain, Can I Make A Claim? Suffering from chronic pain can be a stressful experience for many people and it is commonly associated with other effects such as depression, a lower quality of life, impaired bodily function and even job losses in some cases. At Legal Expert, we help people suffering from chronic pain to get the compensation they deserve, such as by bringing a fibromyalgia claim. If you have chronic pain caused by a workplace accident or injury, a road traffic accident or a slip, trip or fall, we may be able to bring a claim for chronic pain on your behalf. Due to the different causes of chronic pain, and the resulting effects, chronic pain claims cases can be very complex and require specialist assessment. No win no fee agreements, also known as conditional agreements, are a type of contract drawn up between you and a solicitor. They detail what work the solicitor will do for you to bring your claim to the courts. The agreement will also set out what you will need to pay in the event of winning your case. It will also state that if the solicitor is unsuccessful in bringing your claim, you won’t be left out of pocket with potentially expensive fees to pay. A no win no fee contract removes the financial risk and burden which can prevent some victims seeking the compensation they rightfully deserve. Chronic pain can be a long-term condition and affects different people in different ways. Below is a table with a guide to different types of pain you may be suffering and the amount of compensation typically paid out in these cases. Complex Regional Pain Syndrome (CRPS Severe £39,000 - £69,850 there is a poor long-term prognosis. A persons ability to work will be greatly reduced or completely eliminated. Complex Regional Pain Syndrome (CRPS Moderate £21,300 - £39,900 Moderate cases of CRPS can include significant effects for a long time. Overall prognosis will be for a recovery. Pain disorders Severe £32,000 - £47,875 Significant symptoms can be on-going and will persist. Pain disorders Moderate £16,000 - £29,250 On-going symptoms which are a lesser degree through to lower end cases where a full or almost full recovery will be made. Please note, these figures are a guide to previous awards. To start your personal injury claim or claim for chronic pain, talk to Legal Expert. You can contact us today by phone on 0800 073 8804. Alternatively, you can reach us via the online chat feature on our website. You can also make an email enquiry. Learn more about chronic pain and how to best manage the symptoms. Making claims for accidents in the workplace with Legal Expert.